Stock Low : 42 items left. 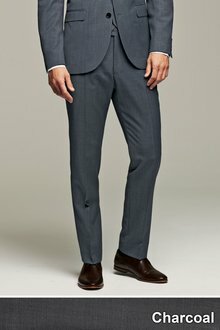 Tailored Fit Suit TrousersMain 50% Wool 50% Polyester. Long sizes 42L - 40L inside leg length 31''/79cm. Extra Long sizes 34XL - 40XL inside leg length 33''/84cm.